Home News Legal and Political News Why are Vapes Now Banned From Checked Luggage? Why are Vapes Now Banned From Checked Luggage? 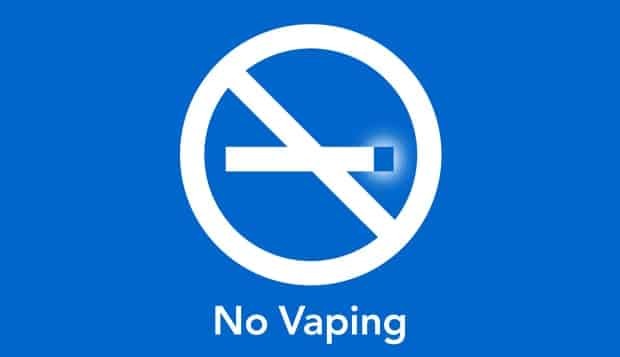 The Department of Transportation announced on Monday that all portable electronic nicotine delivery systems are now banned from checked luggage. Don’t panic, the news isn’t all bad: you can still bring your vapes in your carry-on bag or carry them on your person when flying, but you can’t use them or charge them on the flight. A report by the U.S. Fire Administration that lists more than two dozen e-cigarette explosions and fires since 2009 was also influential in the decision to enact the ban. On August 9, 2014, at Boston’s Logan Airport, an e-cigarette contained in a passenger’s checked bag in the cargo hold of a passenger aircraft caused a fire that forced an evacuation of the aircraft. An airline ramp agent noticed smoke coming from the bag. The bag was removed from the aircraft cargo compartment and investigators determined the source of the fire was an e-cigarette, which continued to burn after it was removed from the bag. Air carrier personnel extinguished the fire. Massport Fire responded and ensured the fire was no longer burning. The fire burned a hole approximately 4 inches in diameter in the outer pocket of the bag. Passengers were deplaned as a precaution. On January 4, 2015, at Los Angeles International Airport, a checked bag that arrived late and missed its connecting flight was found to be on fire in a baggage area. Emergency responders attributed the fire to an overheated e-cigarette inside the bag. The Associated Press reports that the new rule is expected to go into effect within the next two weeks. Previous articleDid Vaping Really Burn a Hole in This Guy’s Lung?